I remember opening a Star Wars novel back in the day and staring at the map inside the cover. The movies never did much for my understanding of how close or far all these magical planets were. Meanwhile my imagination had made the galaxy far, far away a very big place. 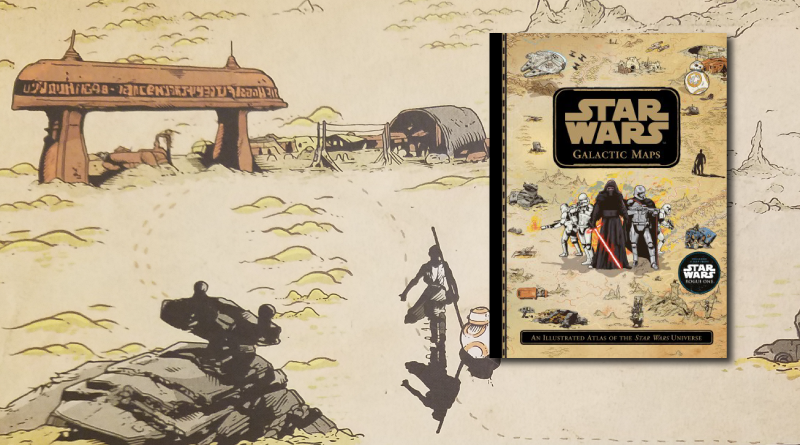 The new Star Wars Galactic Maps: An Illustrated Atlas of the Star Wars Universe shares a lot of information while still leaving plenty of room for imagination. Galactic Maps is framed by way of its intro, which helps hand-wave things like inaccurate representation of distance as well as provides a loophole to prevent you from using this as solid evidence in your good-natured Star Wars arguments. The use of the intro framing helps turn the book into another story too instead of a data dump. The book’s 80 pages tie in to all seven of the saga films released so far as well as Rogue One: A Star Wars Story, The Clone Wars and Star Wars Rebels TV shows, and many Star Wars books and comics. A two-page spread of this large-format hardcover presents the overall galaxy and serves as a visual index for a good portion of the rest of the content. Within you’ll also find a separate multi-page timeline of galactic events using the ole’ BBY/ABY (Before the Battle of Yavin/After the Battle of Yavin) dating system, which might take younger readers a few moments to get used to. 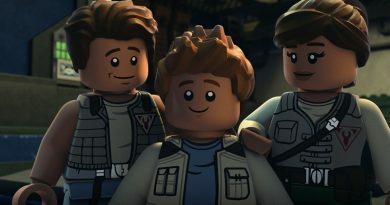 Regardless if the reader isn’t all caught up on Star Wars events from the aforementioned sources, they might get a few plot points spoiled by the Skywalker-heavy timeline. It’s a nice refresher though for those familiar and can be helpful for newer Star Wars fans putting together all the stories for the first time. The planet pages are broken down in horizontal/galactic east-west slices of the larger map with a short paragraph or two talking about a feature and/or historical event from each planet in that area. For every galaxy slice page there’s also a few planets given an additional spotlight with two more pages of geographical illustrations as well as depictions of historical events. With it’s nearly 15″ height and 22″ width when open this atlas commits to its faux-artifact experience even down to the antique-look of its pages. Overall the book can get a little repetitive but it’s still fun to explore. I, for one, was delighted to find appearances by several characters who don’t get much recognition outside of their books and comics. Star Wars Galactic Maps would make an enjoyable gift for the kid (or the kid at heart) who can’t get enough of Star Wars. The publisher provided FANgirl a copy of this book for review. 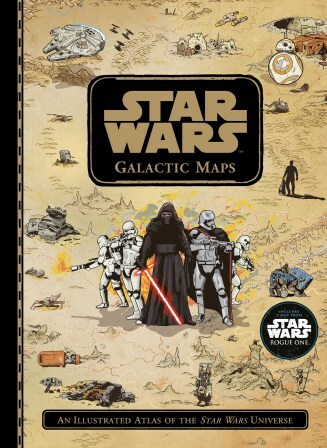 Star Wars Galactic Maps written by Emil Fortune and illustrated by Tim McDonagh is out now in hardcover. We Love Fan Feedback at Fangirls Going Rogue!